Oh hello and happy new year. how's the new years resolutions going? hahahahahaha! not laughing I swear. so I also have a new year's resolution that I'm working on, its something that started last year so yea I hope its still fit in to be called a new years resolution. so I've been a nail biter ever since I could use my teeth. honestly and as a friend said "you probably have never seen your nails a bit longer than you finger" oh well, so last year I decided that enough is enough, need to work on this if being a lady means so much to me. I had done this a few times before only to forget and get back to biting. I know a lot of you are saying agg sies its so nasty, unhealthy and dirty. I really tried, maybe not everything or with all I have but I did try. 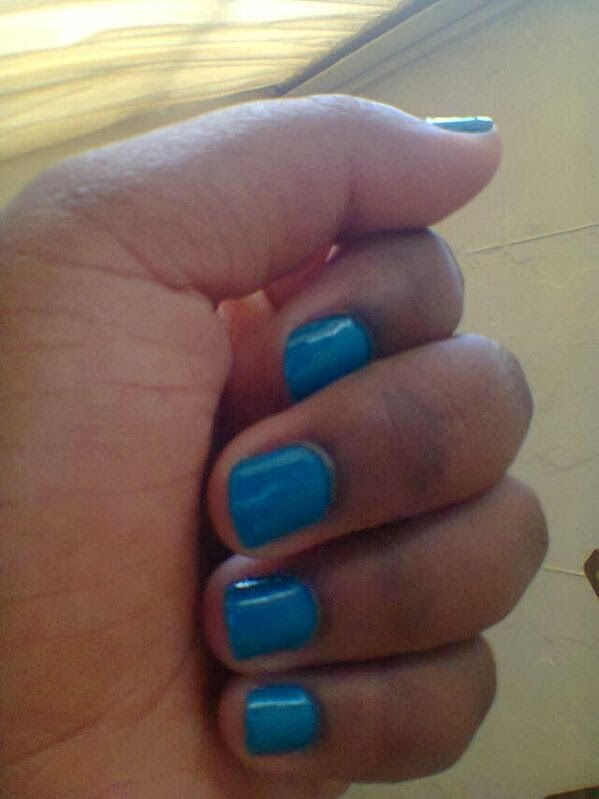 tried putting in artificial nails and after taking them off I'd go back until last year November. I just stopped and prayed, yes I prayed, that I stop for good. counted weeks, gave myself good pets on the shoulders ad other rewards. and now I can safely say I have been sober (from biting nails) for more than 9 weeks now. I know its not enough time to get over a habit of a lifetime but its a good sign right. 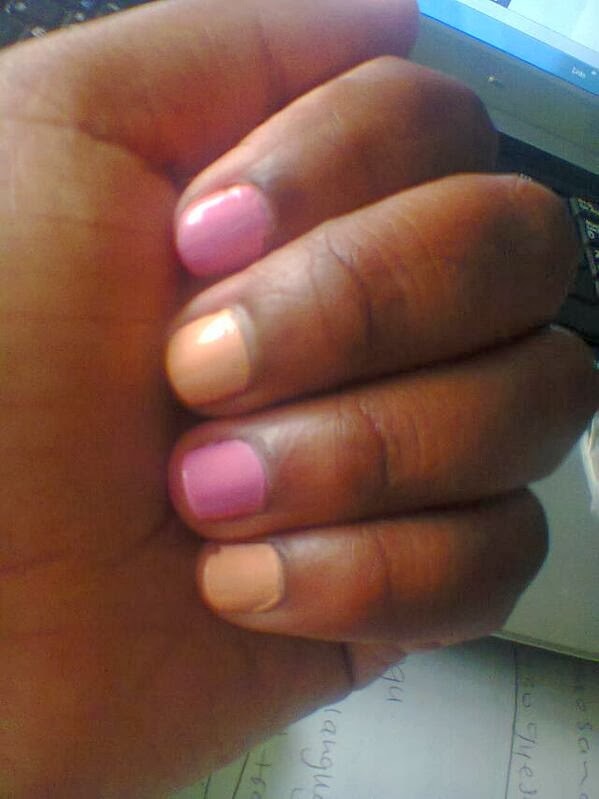 Now I love my hands and do not shy away from adorning it with beautiful and different colours. its not easy, I still find myself with my fingers in my mouth sometimes but I'm going to fight this.